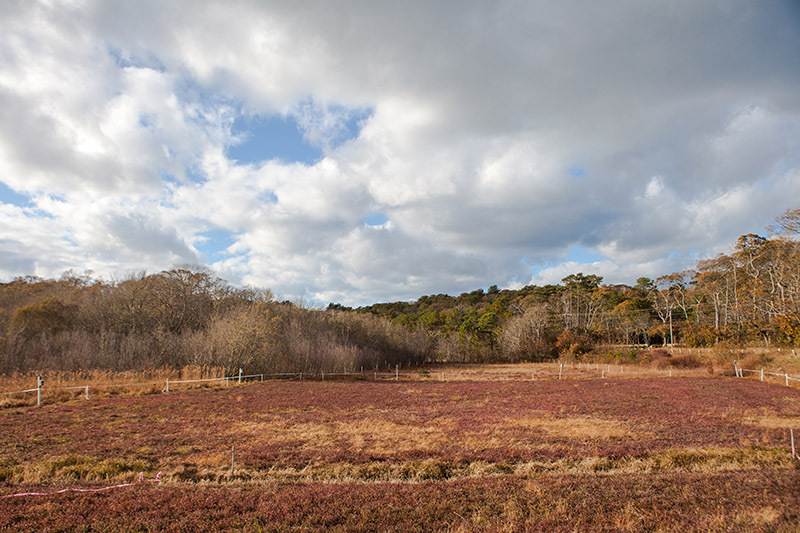 The half-acre cranberry bog on Lambert's Cove Road in Tisbury produced over 2,000 pounds of cranberries since last year. 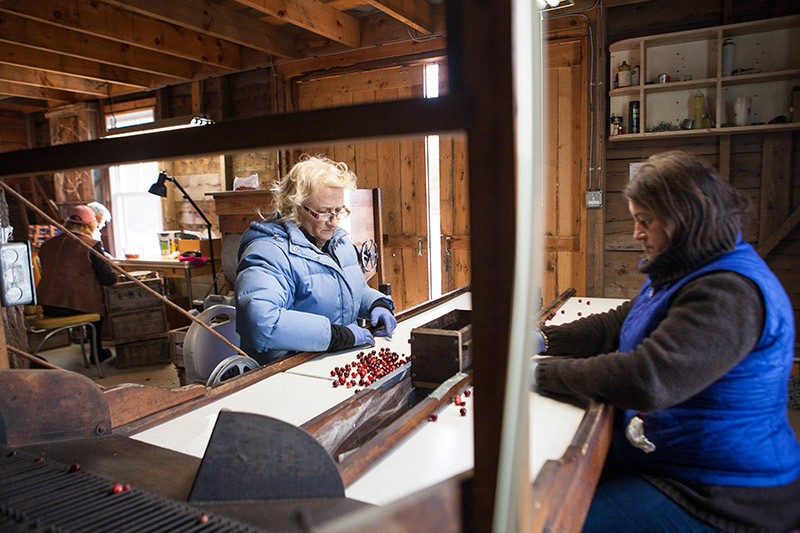 Just in time for the upcoming holiday, the Vineyard Open Land Foundation ramped up its cranberry production at its cranberry processing barn, Cranberry Acres, on Lambert’s Cove Road on Monday. 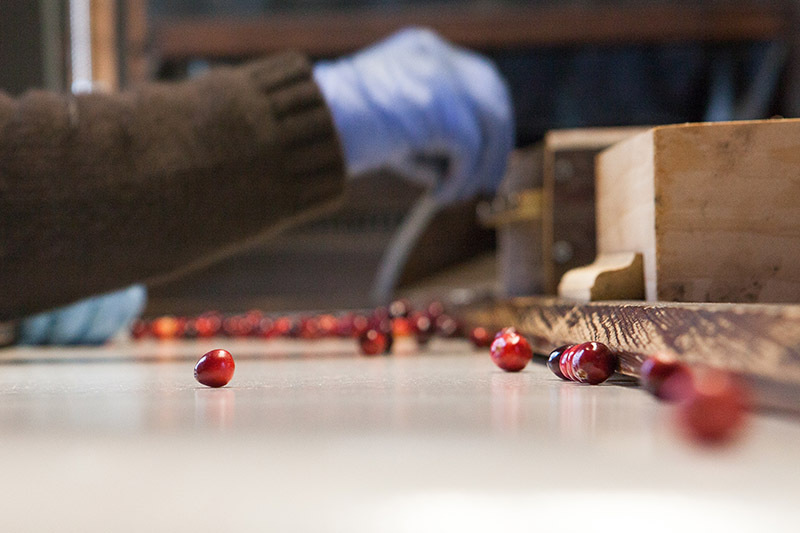 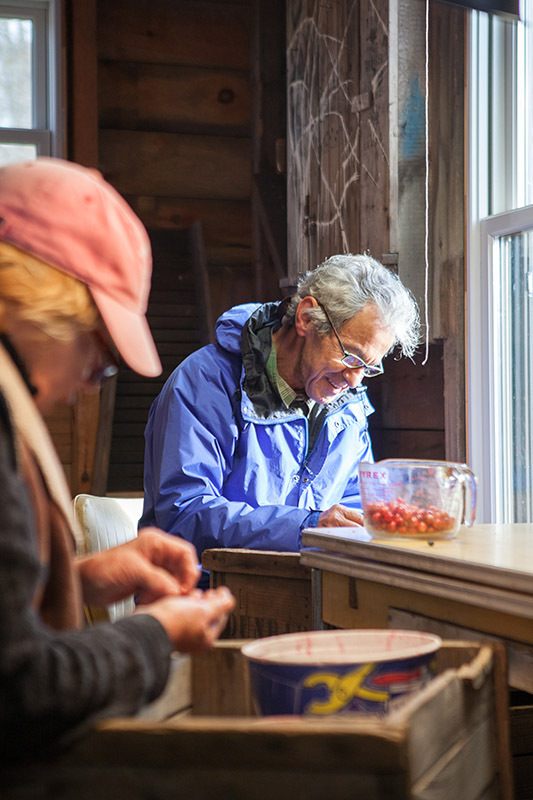 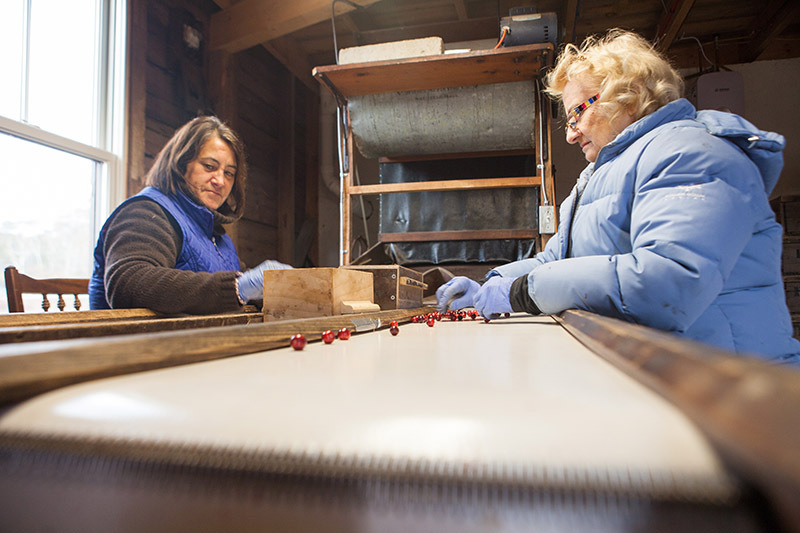 Carol Magee, project director, and Annette Anthony, assistant director, sorted through ripe cranberries using historic machines, with the help of volunteers Roberto Virgens and Eleanor Stanwood. 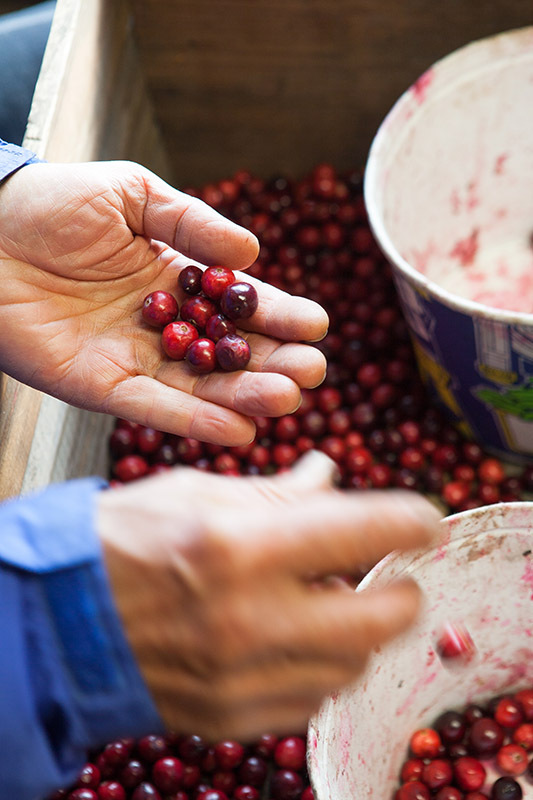 The foundation replanted half an acre of bog that has produced nearly 2,000 pounds of cranberries since last year. 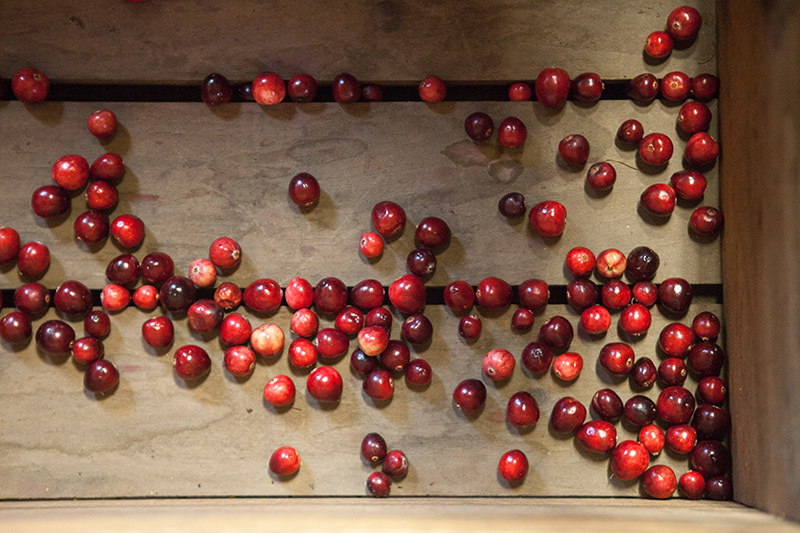 The cranberries are certified organic, and will be available at Cronig’s, Morning Glory Farm, Alley’s, Ghost Island Farm, and Mermaid Farm.